On June 28th 2017, I wrote to you from Cleveland: “Today we wake up with a new dream, with a new project”. 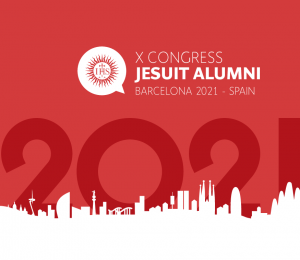 That day in Cleveland, the Council of the World Union of Jesuit Alumni (WUJA) chose our Association to hold in Barcelona the World Congress of 2021. 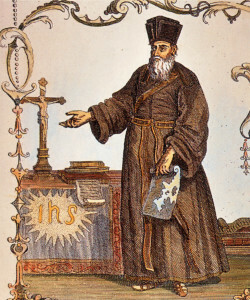 At that time, and with all our enthusiasm we assumed the challenge, the responsibility and the great opportunity to be able to show everyone our school and our city, in the same year that will be the beginning of the celebration of the 500 years of the conversion of San Ignacio in the grotto in Manresa. Today, one year later, we want to reaffirm that dream, that enthusiasm and above all our responsibility with the future. At this time, many people and entities have already expressed and given their full support, the Society of Jesus through the Fr. Provincial and the representative of the Platform in Catalonia, the city of Barcelona itself through the Mayor, the Cardinal Archbishop of Barcelona, The Cova de Manresa and the Ignatian Way, the Spanish Federation and the colleges brothers of Barcelona, the Headmaster of the Jesuit Education Foundation, and our school. Today, we want to make a call to all of you and ask for your collaboration and ideas, and ask your attendance and participation in the congress. Between all of us, let us make of the Barcelona congress a milestone.